You are at:Home»Cats»Is Pricey Pet Food Better Pet Food? Is Pricey Pet Food Better Pet Food? We’re all concerned that we do what’s best for our pets when it comes to buying food, right?! But sometimes it seems that the “best” dog food is simply unaffordable. So it’s nice to see that Consumer Reports has done some research and is featuring a report in the March 2009 issue of their print magazine. While I’ll be looking forward to the reading the article when it arrives at my house in MarchD’oh, the March issue is already here at my house. I just hadn’t read it yet! Read their press release (included below) and the actual print magazine article about pet food on the Consumer Reports Health website here: Q&A: Vets weigh in on Fido’s food. Consumer Reports advises consumers about what to look for on pet-food labels; plus, fancy claims consumers can ignore . . .
YONKERS, NY — When it comes to buying pet food, higher cost doesn’t always mean higher quality, according to the March issue of Consumer Reports. A higher price could indicate better ingredients and better quality control during and after manufacturing, but it could also just mean prettier packaging, more marketing, or a fancy name. And despite food safety concerns that resulted from a recall of pet food tainted with melamine in 2007, Consumer Reports urges caution for consumers who are considering making their own pet food, a growing trend. Consumer Reports asked eight experts in dog and cat nutrition at seven top veterinary schools what consumers get by spending more for pet food. They were also asked what they served their own pets: Most of the experts said they use a variety of common brands sold at pet stores or supermarkets. A recent survey by the Associated Press found that although Americans may be spending less on themselves, they’re not scrimping on their pets. According to the survey, just one in seven pet owners said they had curtailed spending on their pet during the past year, even as they cut back on other expenses. Thirty-seven percent of U.S. households have dogs, and 32 percent have cats. But because of multi-cat households, felines outnumber canines: As of 2007, there were almost 82 million cats and 72 million dogs. Hirsh advises pet owners to look for labels stating that the food’s nutritional adequacy was validated by animal-feeding tests based on protocols from the American Association of Feed Control Officials, a regulatory group. That statement is a step above the other one that AAFCO allows – that a food was formulated to meet the group’s nutrient profiles. “In addition, make sure the package has contact information for the food’s manufacturer, in case you have questions,” Hirsh says. Consumers should also take into consideration the age of their pet and whether he or she has special needs. For example, cats with kidney or urinary problems might benefit from the moisture in wet food, while animals with dental issues might do better with dry food. For pet food, there’s no official definition of organic, human-grade, premium, no fillers, or gourmet. Gluten-free foods are generally necessary only for the tiny percentages of pets that are intolerant of that protein. There’s some evidence that antioxidants – such as vitamin E – and some omega-3 fatty acids might enhance pets’ immunity or help protect against certain diseases, but the experts interviewed by Consumer Reports were split on whether consumers need to look for them. The 95 percent rule (Beef for Dogs). Named ingredient(s) must account for a least 95 percent of the product by weight. Dinner; also Entrée, Formula, Nuggets, Platter, Recipe (Chicken and Salmon Dinner for Cats). The named ingredients must make up at least 25 percent of the product by weight, not counting water. Each individual food must make up at least 3 percent. “With …” (Gourmet Fillets with Turkey for Dogs). Contains 3 percent or more of the named ingredient. No specific percentage required, but the product must contain enough of the food to impart the claimed flavor, or another substance that tastes like it (beef stock, for example). Mandatory guarantee that the food contains the labeled percentages of crude protein, fat, fiber, and moisture. Meets AAFCO limits for a reduced-calorie diet for overweight dogs and cats. “Lean” and “low-fat” have a similar meaning for fat. Technically, the food has few or no synthetic ingredients. But the claim is loosely defined. Protein in the product comes from nongrain sources (perhaps for people who want pets to eat more animal protein). It’s unclear whether there’s any benefit to a diet high in animal protein. Be careful when making your own pet food. Most experts said they hadn’t seen a pet get sick from inexpensive food; however, half said they had seen pets become ill from eating homemade pet food, a growing trend since the 2007 recall of some commercial pet food contaminated by melamine. Dogs and cats each require about 40 different nutrients in very specific proportions, so pet owners who insist on making their own pet food should consider enlisting a nutritionist certified by the American College of Veterinary Nutrition (www.acvn.org) or get help from the Web sites www.balanceit.com or www.petdiets.com. Age-specific food is very important for puppies, kittens, and pregnant pets, who have especially stringent nutritional needs. Foods labeled either “for growth” or “for all life stages” meet those needs. Foods “for maintenance” are for healthy adult animals only. “Senior” is a marketing term, not a nutritional term. Weigh the costs and benefits of wet versus dry food. There’s no nutritional difference between wet and dry pet food, but there is a cost difference. Wet foods contain about 75 percent water, so pets need more to get the same calories, and that makes wet food more expensive per serving. – that dry food provides any dental benefits. I’ll agree with their claim that expensive doesn’t necessarily mean better, because there are some truly awful expensive pet foods out there, but all in all this sounds largely like pet-food industry propaganda which has very little sound science to support it. I suppose it’s very difficult to get an unbiased answer on anything related to pet food, when veterinary schools are so influenced by the money & teaching materials that the industry provides to them. Thank you so much for this link! I had a friend who fed her dog organic stew that she cooked herself because she said anything less was inhumane. When I got my puppy I felt guilty because of that, because we can’t afford to feed the puppy that. So this link is a big relief, thank you! 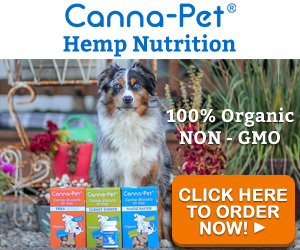 I have had dogs and cats in my home for over 30 years and have tried different foods, in an attempt to provide what is most nutritious. Based on my own experiences and the technical pet nutrition research I’ve seen, I believe Consumer Reports is irresponsibly generalized in the viewpoint they provide in this article. The question of whether you get more with pricier pet foods is so broad that it might not be the right question to ask. A good way forward is to compare your pet’s nutritional needs with what the diet delivers. This sounds tough, but it can be a straightforward process. Save your label, take a look at the FDA requirements for cat and dog diets. Another aspect of quality is the manner in which the food is produced. We all remember the recalls last year. Finally, the ingredients sourcing (ditto on the recall) can also be important. Organic foods not only do something better for your pet, they do something better for the soil. Balancing food quality, effect on the planet, and caring for your pet can be daunting. What’s important, I think, is that we try to do just a bit better each time. For more information, see Pets and the Planet: A Practical Guide to Sustainable Pet Care. There’s an entire chapter on this topic. Just before i read this i had written a article on my new website about this. It explains a lot of things. Most of the cheap food has cheap ingredients but not all expensive food is good. If you are not sure on your food you can write down the ingredient on the back and post it on my website. i will give you my opinion on it in the next 48 hours. I will never try to sell my product its just a affiliate store. I’m trying to take some of the product out because i don’t like them – like Friskies. 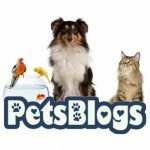 You can also post your question on everything (cat, dog, small animal, reptile, aquarium…..
also if you want my opinion on a product or want to know what is the best way to kill fleas…. I don’t belong to any compagnie so im free to give my opinion. Its the first post i write my self but i will try to make one everyday. http://www.thebestpetstoreonline.net – I have 13 year experience in a pet store manager and im now a stay at home mom. Interesting article though i dont think this question will ever fully be answered. I switched my puppys food to a “lower quality” brand and his hair starting coming out in handfuls!! He is a one year old corgi. As soon as I switched back to his normal brand it died down. Thanks for the article! You bring up an interesting topic seeing as you may think that the more expensive the food the better. Very informational and something to think about when buying pet food!!! I used the “high dollar” dog food with my 10 year old boxer for years. She had major skin allergies, and when I switch her over to Bentiful fish and vegetables, all of her allergies went away. 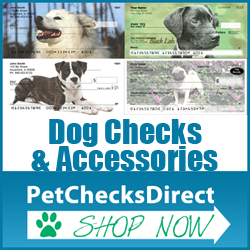 It is very important not to label shop, but to try different products until your pet responds. Also, a little melted unsalted butter helps to rid any hotspots. Just don’t over do it, otherwise you will end up with a true butter ball! Nice read. IMO, the branded pet foods are pricey because of the budget they spend on advertising their products. I always look at the nutrition benefits which is usually at the back of the pet food package. .-= 1800PetMeds Blog´s last blog ..Are Urinary Tract Infections Common in Cats? =-. Another comment said one woman fed her dog organic beef stew! Who has the time or money for that? I think as long as owners pay attention to their dog’s diet and make sure he/she gets what she needs, that’s sufficient. My companion and I actually loved reading this weblog publish, I was just itching to know do you commerce featured posts? I’m always trying to find somebody to make trades with and merely thought I would ask.